Settle into a relaxing bath and soak your troubles away with one of our popular chill pill bath bombs. If you know someone who’s overstretched, tired, or high strung, then these novelty bath bombs will go down a treat and help them unwind from the strains of adult responsibility. Shaped like a tablet with the words “chill pill” debossed on the top, each pack contains nine bath bombs in stylish packaging that is perfect for giving as a gift. Its relaxing fragrance has been specially blended to help you destress, featuring top notes of exotic jasmine and iris, warmed with the sweet scent of vanilla and finished with base notes of intense white musk and sensual amber. Our bath bombs are carefully handmade in our Devon studio to ensure they are allergen-free and kind to sensitive skin, making them unlikely to cause adverse skin reactions. Why not create a matching gift set by pairing this jar of bath bombs with our chill pill soap? 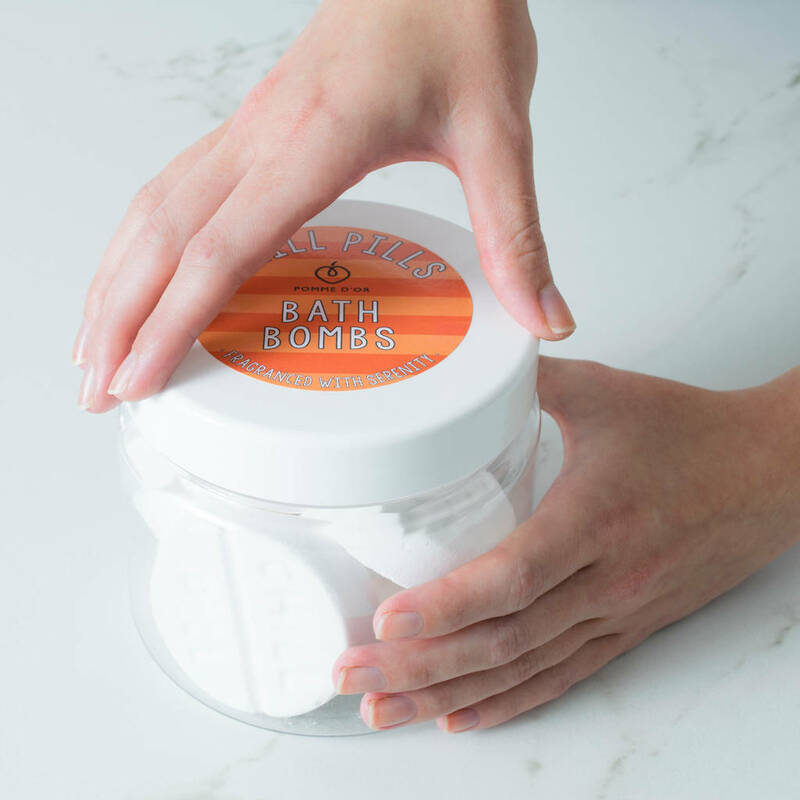 These bath bombs are suitable for age 3+ and have a 12-month shelf life. This is a vegan product. Our products are not tested on animals, and are made in small batches to ensure that they stay fresh for longer. Our products are all developed by Anne-Marie of Pomme d’Or, who holds an Advanced Diploma in Skincare Product Formulation. Our beautiful white labelled box comes as standard with our products, but if you’d like to add luxurious gift wrapping, we provide this service for a small extra charge. 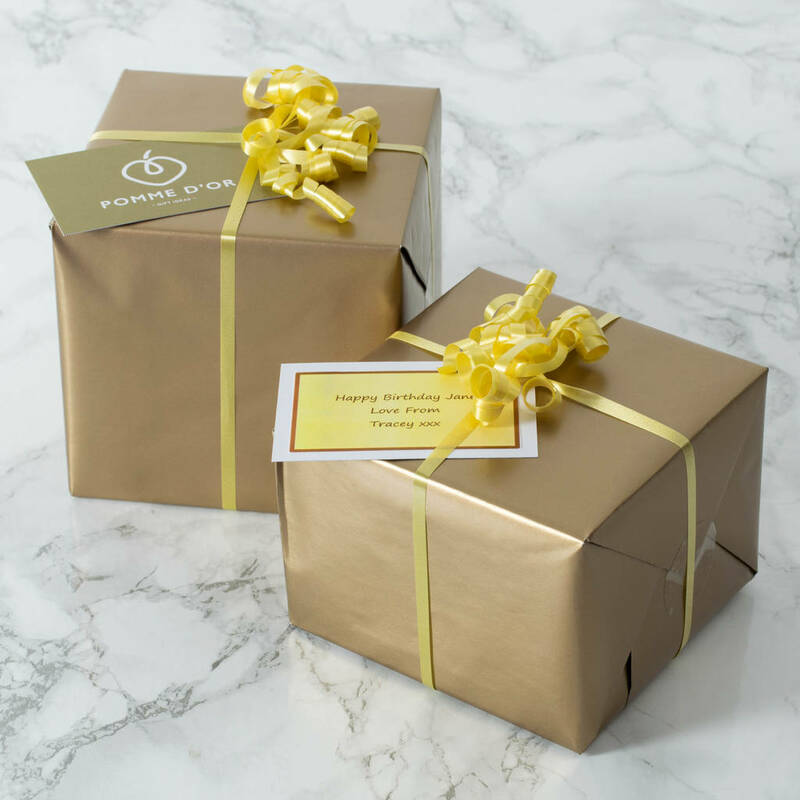 Wrapping paper is pale gold with coordinating pale gold ribbon, and also features a personalised gift tag. Please choose your options from the drop down boxes on the right, and note that wording will be printed exactly as you enter it in the text box. Sodium Bicarbonate, Citric Acid, Fragrance, Hamamelis Virginiana (Witch Hazel) Distillate. (The fragrance is EU approved and classed as 100% allergen-free which is not likely to cause adverse skin reactions, i.e. it does not contain any of the 26 potential allergens as outlined in EU directives). Tub measurements: H11 x W11.5 x D11.5cm. Each chill pill has a diameter of approx. 6.5cm. 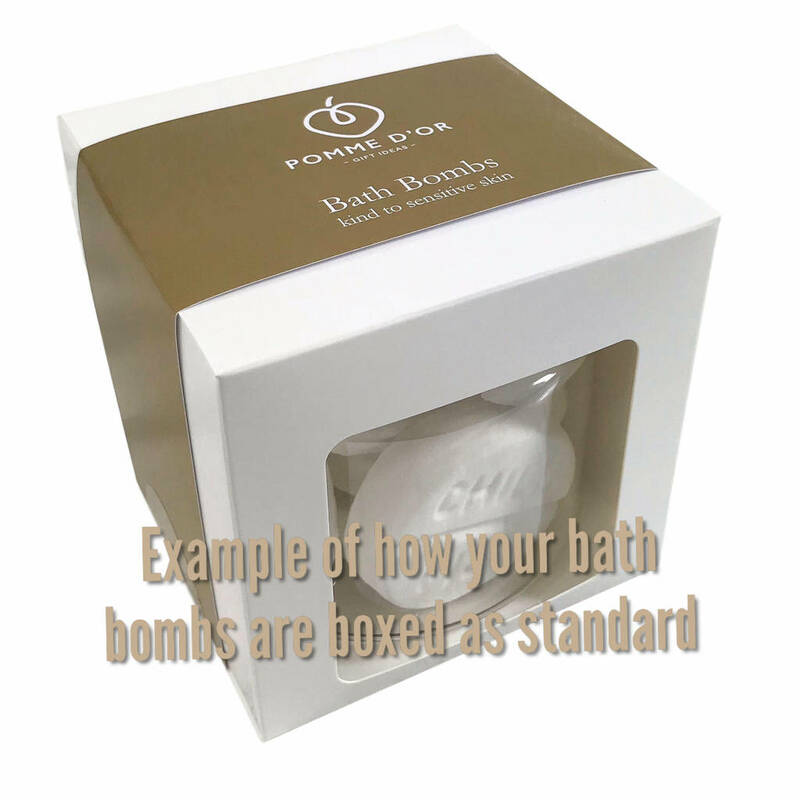 This product is dispatched to you by Pomme d'Or Gift Ideas.